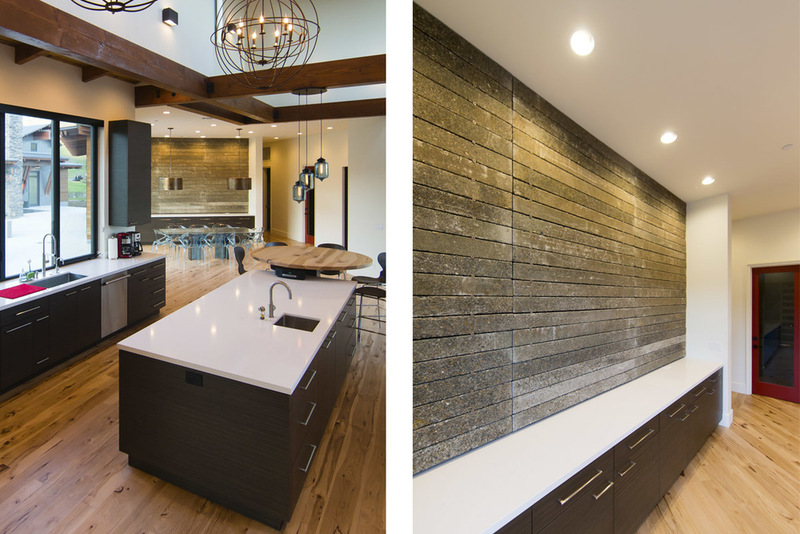 North Coast Ranch — Isaman design, Inc. 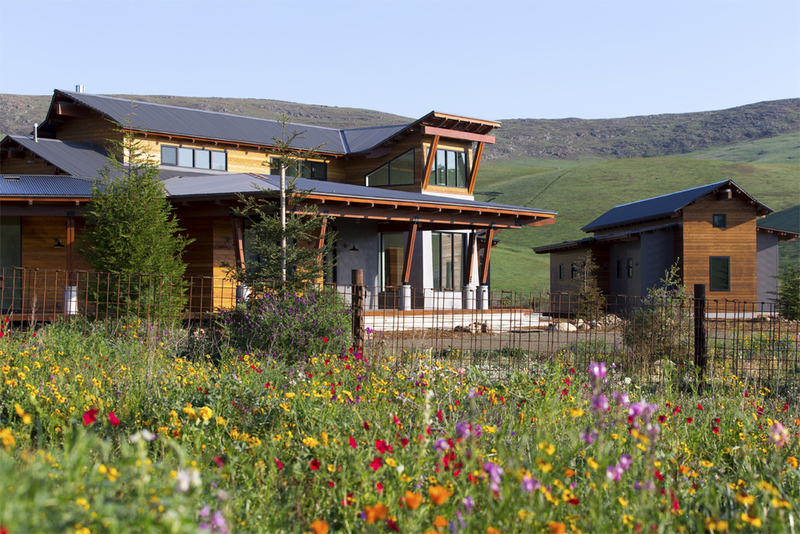 Located on a private ranch on the Central Coast of California, The North Coast Ranch is a contemporary agrarian compound with a rich family heritage. The compound includes a main house, guest house, and detached garage/workshop situated on what was once a hog farm. The agrarian setting and history of the property inspired much of the design and detailing. The agrarian influences are apparent in the exposed framing, cedar siding, barn form roof lines, and a tower element inspired by the existing concrete silos located on the property. To celebrate the family’s Swiss heritage, the exposed rafter tails are individually branded with the Swiss flag insignia. On the interior, a large open floor plan and 10’ sliding glass doors provide plenty of space for family gatherings and opportunities for indoor/outdoor living. 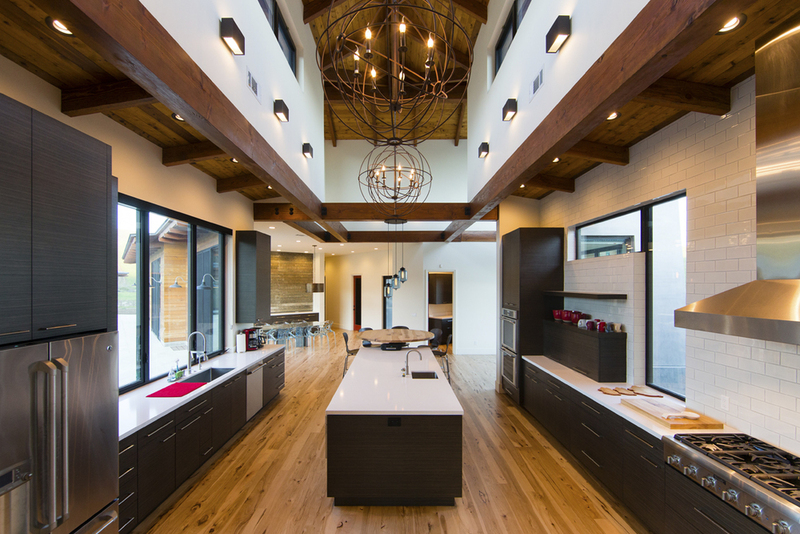 Adding to the grandeur of the spaces, the kitchen and living room boast vaulted cathedral ceilings. The agrarian detailing continues throughout the house with the incorporation of warm materials and exposed structure. Concrete slats, originally a part of the old hog pen infrastructure, were reutilized to create a feature wall in the dining room.